Montrose Animal Hospital was established in 1988. In 1995 the hospital moved into a new, modern facility that expanded the medical, boarding and grooming areas. We are pleased to offer the finest small animal care facility available to pet owners. In fact, our goal is to continue to grow, develop and strive to further meet the needs of pets and their owners. The veterinarians and dedicated staff at Montrose Animal Hospital and Pet Hotel seek to exceed your expectations with superior service and care. We are here when you and your pet need us. 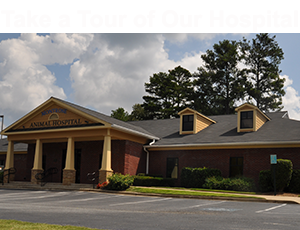 We especially want to thank our clients who have supported us over the years and worked with us to make Montrose Animal Hospital & Pet Hotel the premiere animal hospital in East Cobb..